Written Test: Measures cognitive abilities in the areas of memorization, visualization, reasoning, spatial orientation, written expression, written comprehension, problem sensitivity and information ordering (Multiple Choice). Work Styles Inventory: Measures motivational, value-related and attitudinal characteristics (Multiple Choice). The Polygraph interview focuses on the areas of criminal activity, drug usage, employment history, financial decision-making and driving history. The background investigation includes another in-depth interview with the candidate, as well as multiple interviews with the candidate’s family, friends, neighbors, supervisors, co-workers, acquaintances, etc. The investigator will also verify the candidate’s education, employment, military, financial, criminal and traffic history. A conditional offer of employment to selected applicants will be contingent upon the successful completion of a comprehensive medical examination, eye examination, psychological examination, and a final physical fitness assessment. Recruits reside full-time (with weekends off) at the training facility for approximately 22 weeks of intensive and comprehensive police training. Studies involve a wide variety of topics including tactics, laws of arrest, criminal procedures, search and seizure, emergency vehicle operations, first aid, verbal judo, computer science, firearms proficiency, cultural diversity, and crisis intervention. Recruits must be willing and able to receive oleo-resin capsicum (O.C.) spray, as well as incapacitation from an electronic control device (Taser). Upon successful completion of the live-in academy, the Recruit Trooper is assigned to one or more various troop locations for an additional 12 weeks of Field Training with veteran officers. 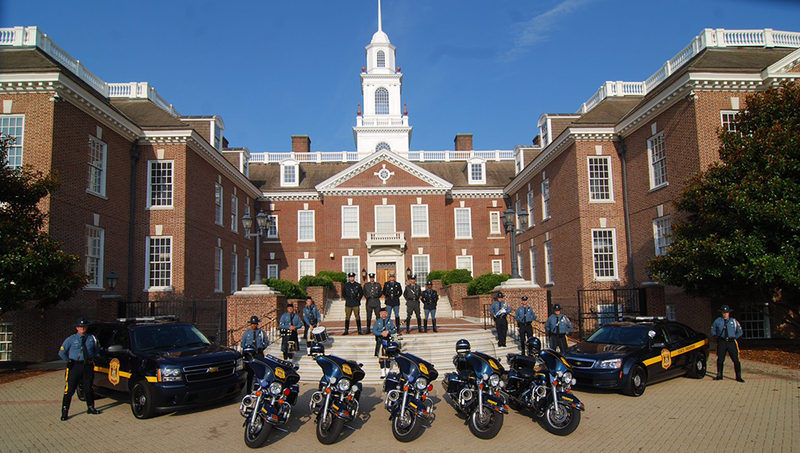 Applicants must obtain Delaware residency and a Delaware driver’s license prior to their Field Training assignment.